japan has not paid its contribution to the United Nations Educational, Scientific and Cultural Organization's budget yet. TOKYO (Sputnik) – Tokyo fell behind with payment of its annual contribution to the United Nations Educational, Scientific and Cultural Organization (UNESCO), Japanese Foreign Minister Fumio Kishida confirmed Friday at a press conference. "The payment of the contribution has not been made to date. Further [steps] will be comprehensively defined later," Kishida told reporters. The annual contributions are usually made in May. Recently, Japan's UNESCO budget share has been the largest. 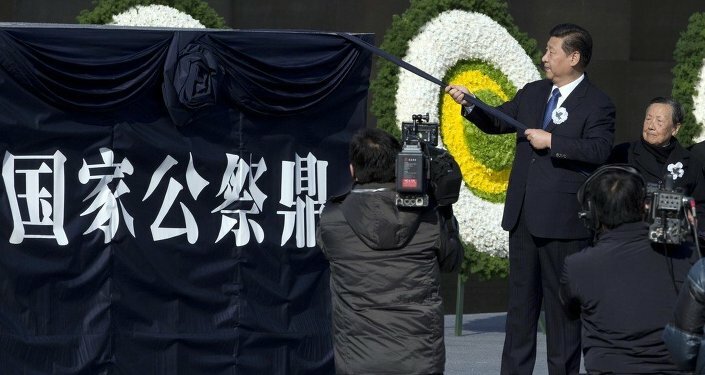 In October 2015, Japan protested against including the set of Chinese documents on the so-called Nanjing Massacre to UNESCO Memory of the World register, a year after the documents were submitted. Tokyo argues that the documents are based on biased views and the Japanese government doubts their reliability and authenticity. The Nanjing Massacre was committed by Japanese troops during the Second Sino-Japanese War. During a six-week period in December 1937 over 300,000 Chinese civilians were killed by the Imperial Japanese Army, and about 20,000 Chinese women were raped. Tokyo does not deny that the massacre occurred, but disputes the number of victims. Meanwhile, some Japanese experts consider the Nanjing Massacre episode a falsification, saying that it is used to apply political pressure on Japan.